One is allowed to speak about a melachah that already occurred. For example, “Last Thursday we drove from Los Angeles to San Diego”. One may discuss plans to take place after Shabbos if no melachah is involved. For instance, one may say, “I will walk over to your house tomorrow.” Since this can be done on Shabbos, it may be discussed on Shabbos. It is also permitted to say, “I will come over to your house tomorrow,” even if the house is 20 miles away, since a melachah was not stated and it is possible to walk. If the melachah is about performing a d’var mitzvah, one may discuss it if necessary.11 For example, if it were necessary on Shabbos to discuss specific travel arrangements for attending a levaya in order to avoid “losing a ride”, one may discuss this on Shabbos. Although this activity is a melachah, it is permitted to discuss since it involves a mitzvah. This also includes conversations about free items including, “If you want a free round trip ticket to Eretz Yisroel you can get one on United Airlines if you have 85,000 frequent flyer miles.” Generally, speaking about stocks, bonds, mutual funds, banks and credit cards is forbidden even without mentioning specific financial information. Tzedakah Matters – This is a heter for the gabbai to announce nedavos (donations declared following aliyos), as this financial discussion is for the purpose of tzedakah. Calculations for tzedakah and other mitzvos are also allowed. Public Affairs – Something that will benefit the general public is permitted. An example is a city engineer who comes on Shabbos to survey the area in order to install a traffic light and crosswalk in an area frequented by the tzibbur (e.g., outside the shul). In such a case, one may speak with the engineer about the project as it will benefit the entire community. If one’s “business” is teaching Torah or other divrei mitzvah, then one may discuss such topics on Shabbos. For example, one may speak to his son’s rebbi or teacher on Shabbos regarding how his child is performing in shiur. He may hire a tutor17 to teach Torah, provided salary is not discussed on Shabbos. One may also discuss shidduchim on Shabbos. One may even say “support will be available.” Some opinions allow even specific financial arrangements for the shidduch to be discussed on Shabbos.18 Consult your rav. Likewise, one may ask a kashrus professional for advice (e.g., “Can I eat this product that has no hechsher?”). One may also speak with others who work for chesed organizations (e.g., asking a member of the Bikur Cholim organization about a hospital). Health care professionals may give advice on Shabbos (but may not discuss related financial issues). This includes speaking to one’s doctor or two doctors who are conferring about a medical technique or issue. Nurses and occupational, physical or speech therapists, etc., may discuss health issues or techniques for helping others. They may also speak to a patient who is seeking their advice on Shabbos. One should avoid sharing sad news or something that brings tzaar (distress)19 on Shabbos, unless it is necessary. For example, on Shabbos one should not tell his friend, “Did you hear that Ploni died?” However, one may tell a relative or someone who is involved if they need to know (e.g., “Your uncle, who was my neighbor, was niftar this morning. I think your cousins would appreciate if you came over on Shabbos for guidance.”). One may ask a shayla or “speak in learning” regarding a case that involves business (e.g., asking a rav, ‘Reuven is lending Shimon $10,000 and would like to charge 5% interest. How should I tell him to set up a heter iska?”). On Yom Tov, one may discuss a melachah that is permissible on Yom Tov, even if it is forbidden on Shabbos. For instance, one may not say on Shabbos, “Let’s bake a cake after Shabbos.” However, on Yom Tov one may say, “Let’s bake a cake after Yom Tov.” This is because under certain conditions, it is permissible to bake on Yom Tov. 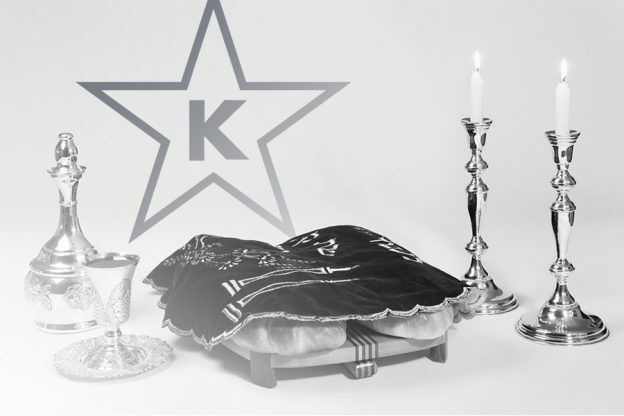 On Yom Tov, one may discuss non-melachah prohibitions related to that particular Yom Tov (e.g., on Yom Kippur one may say, “I know you find fasting difficult, before Yom Tov I brought food for you to eat immediately after Havdalah in shul.”). On Shabbos, the Ribono Shel Olam grants us the opportunity to spend Shabbos in an enhanced way with divrei Torah, which spiritually and physically heal and protect us. It is a day with more time for Torah, tefillah, our families, inspiring seudos, gemilas chasadim and proper speech. Why would anyone want to treat this special day as just another day to discuss business and financial matters, as we do every other day of the week? End of 15th perek of Meseches Shabbos. As it says, “B’asara maamaros nivra haolam” (Avos 5:1). Many of these halachos are based on Shulchan Aruch Orach Chaim (S.A., O.C.) and Mishna Brura Siman 306 & 307. This is because Daber Davar applies to Rabbinic prohibitions, as well. It does not help to preface your prohibited statement with the words “Nisht oyf (or im) Shabbos geredt.” For example, you may not say, “Nisht oyf Shabbos geredt – Can you bake a cake after Shabbos?” In this case, although you are stating the halacha that it is prohibited to say this, your obvious intent is to ask the person to bake the cake after Shabbos. S.A. O.C. 307:8 based on the Gemara Shabbos 150b that states one can speak about leaving the tchum because “burganin” (huts for guards) could be built to make it in the tchum (by spacing the huts close enough). Driving was not stated, and since it does not have to definitively happen it is considered as hirhur on the part of those listening (see Rashi, Shabbos 150a Hanireh). One may mention a price that was paid for an item in the past which has absolutely no current relevance to himself or the listener. Even to simply say “You owe me twenty-one dollars for the tie” is prohibited. Stating that we will discuss the business issue (“it”) after Shabbos is assur because one would be stating that he wants to do an issur D’rabanan (Daber Davar) after Shabbos. However, one may simply state, “Let’s talk after Shabbos”, since the prohibited activity is not referenced. One may even hire a teacher for limudei chol, such as math or science (provided salary is not discussed), because it is a mitzvah l’lamdo umnos (see Mishna Brura 306:30 based on Kiddushin 29a). On Shabbos, when people come together at family gatherings and social events one should be extra nizhar (careful) in all halachos of proper speech that are relevant every day. See Chofetz Chaim, footnote at the end of Psicha Asin Os 6. Written by Rav Avraham Chaim Noeh, zt”l, in Chalek 4, Siman 107, Os 29 in the name of Aishel Avraham m’Butchoch in the name of Toldos Yaakov Yosef.